Now available in paperback with gorgeous new cover art! Set seventy years before The Various, the second book in the trilogy follows the adventures of young Celandine at the onset of the First World War. Having run away from her detested boarding school, Celandine is too afraid to go home in case she is sent back. As she seeks shelter in the Wild Wood near her home, little does she think she will encounter a world where loyalty and independence is fiercely guarded, and where danger lurks in the most unlikely of places. 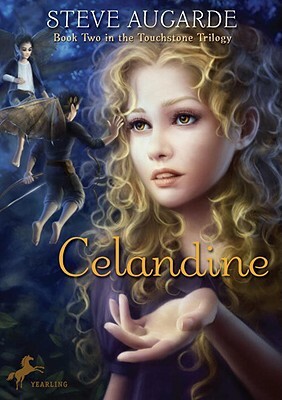 Celandine's troubled character finds both refuge and purpose among the secret tribes of little people that she alone believes in. The novels of the Various trilogy are full of mystery, beauty and adventure; this second novel is both page-turning and life-affirming.